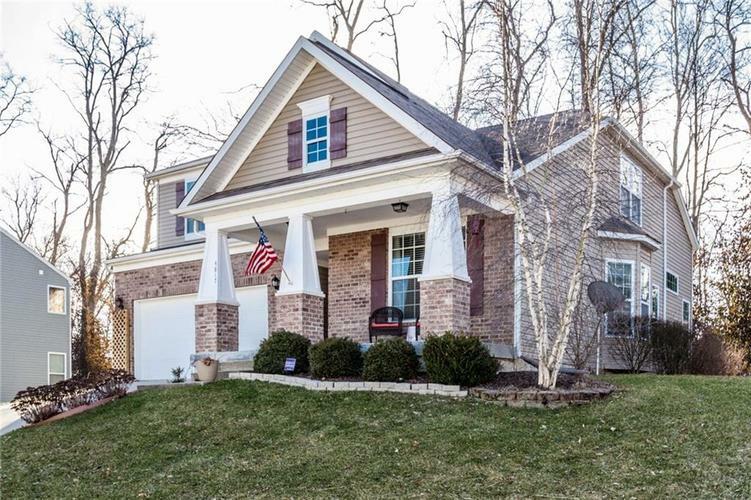 Charming Craftsman-style home.You don't need to touch a thing.Curb appeal for days! Vaulted, family room & numerous windows create a light & bright living space. Great, eat-in kitchen opens to family room complete with fireplace,to create an ideal gathering space. Entertaining can spill out to the deck surrounded by mature trees for privacy. Multi-level living allows for plenty of different areas to support all your needs. The vaulted ceiling in the master bedroom creates the perfect oasis. There's even a window in the Master Bath Shower to allow the room tons of natural light.The 3 remaining bedrooms on another level offer privacy without feeling too far away. Don't even get me started on the potential of the unfinished basement. Adorable! Directions:South On Emerson Ave From 56th Street To Millersville Road. Right On Millersville Rd To Ladywood Sub-Div. Left On Ladywood Dr To Ladywood Bluff Dr. At The Top Of The Hill, Turn Right To 4817 Ladywood Bluff.